Nokia plans to issue two software updates to improve the battery life of its Lumia 800 smartphone after users complained of poor power performance. The Lumia 800 was launched in October 2011 alongside the Lumia 710 as Nokia’s first smartphones to run on Microsoft’s Windows Phone operating system (OS). Nokia and Microsoft formed a strategic partnership in February 2011, making Windows Phone the primary smartphone platform for Nokia handsets. 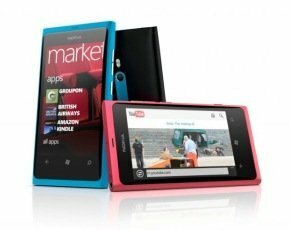 In a statement on the company’s support forum, Nokia acknowledged customers' concerns about the power performance of the Lumia 800 handset. “Early investigations show that the majority of people are enjoying the full Nokia Lumia experience without any problems. A software update in early December will include improvements to power efficiency, while a second update in early January introduces further enhancements to battery life and battery charging,” said Nokia. Both updates will be made available through Zune. Nokia said any user who still has concerns should contact a Nokia representative. Nokia is relying on its Windows Phone 7.5 OS smartphones to lift sales after a rocky year. An 8% increase in standard mobile handset sales failed to save phone manufacturer Nokia from posting a net loss of €151m (£132m) in its latest financial results.